We just returned from a fabulous week-long trip to Virginia. If you ever want to walk on the wild side, travel with four children. This was our third trip to Virginia in two years. Within those two years, we spent time in Washington DC, Maryland New York and Pennsylvania. 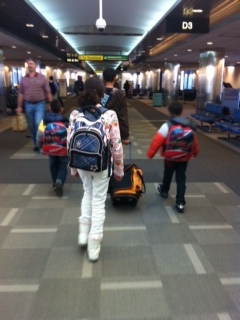 The fantastic4 and their marvelous mom are making our way across the USA. This entry was posted in Fantastic4 and tagged Family.